Cold outside? Check. Hungry? Check. Craving something warm to eat? Yes. 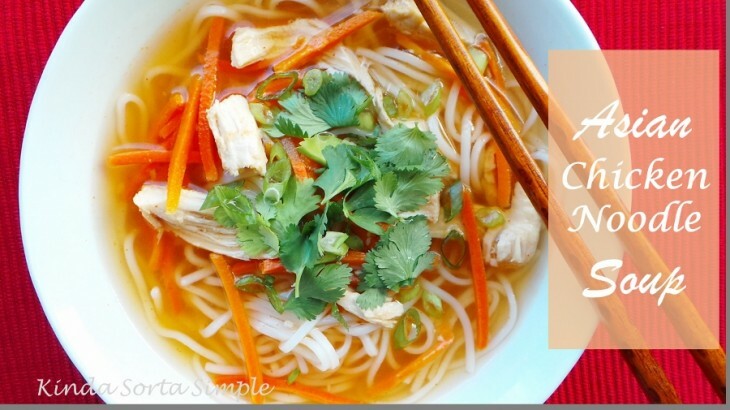 Solution: Asian Chicken Noodle Soup. This is not your ordinary chicken noodle soup that grandma made or anything like the watery canned chicken noodle soup from college. No, this has some serious flavor in it with an added kick of spice to make your chilly fall night warm up with each flavorful spoonful. 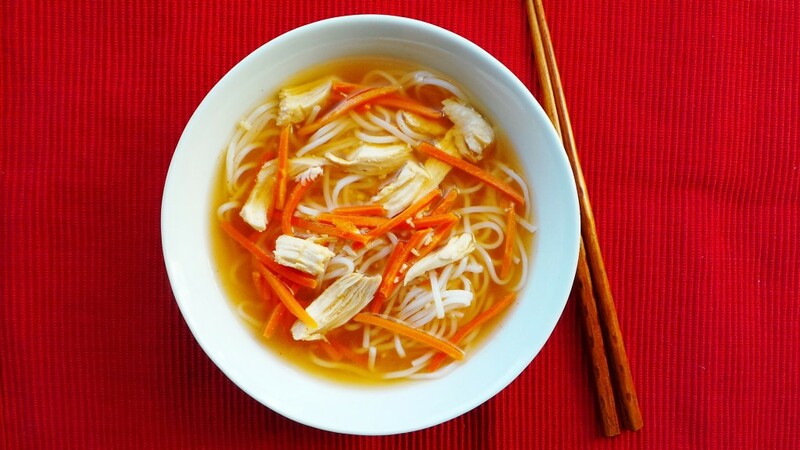 What sets this recipe apart from other chicken noodle soups is that it incorporates some familiar Asian ingredients such as kochujang, a spicy Korean red pepper paste, as well as garlic, Sriracha, and rice stick noodles. 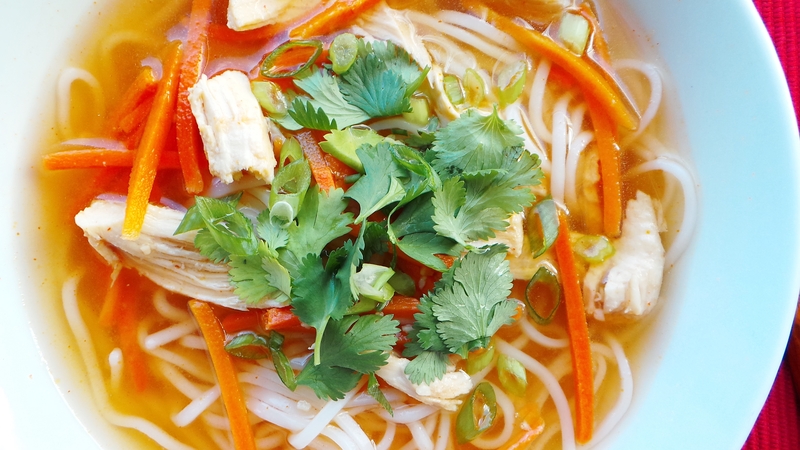 It also uses lots of fresh ingredients like carrots, cilantro, and green onion. This dish can also be adapted for a palette that is not quite as fond of spicy food as I am. 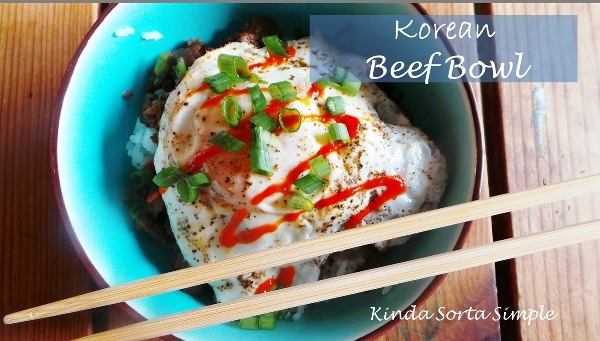 Modify by simply omitting the spicy kochujang as well as the Sriracha from the recipe and it is still amazingly good, just without the spiciness. The picture below shows the Asian Chicken Noodle Soup I made for my daughter when I left out the spicy sauces. Add the cilantro and green onions to garnish, with a touch of sesame oil. And voila! 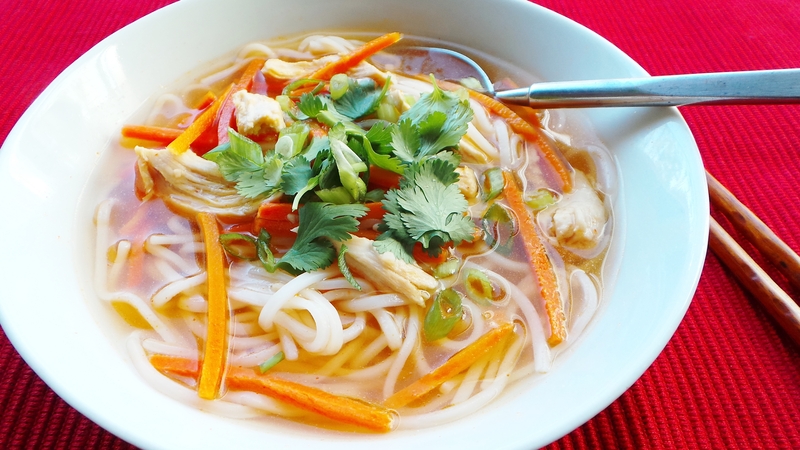 A yummy Asian Chicken Noodle Soup that will warm you up from the inside out. 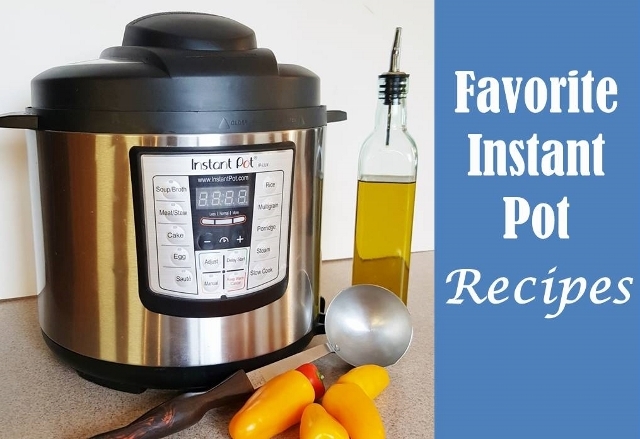 An even faster way to make this delicious soup is to start with rotisserie chicken from the local grocery store. Just shred with fingers and add it to the broth after it has simmered for about 2 minutes. Cuts the entire cooking time in half! 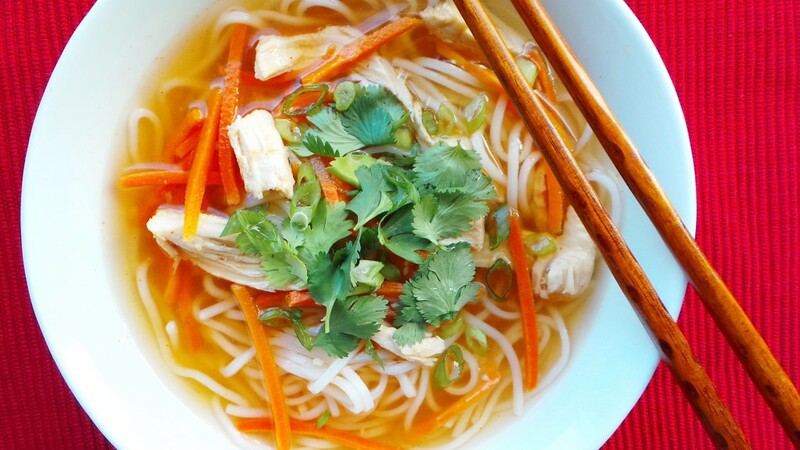 Ready to make some Asian Chicken Noodle Soup for yourself? Easy, simple, and so incredibly tasty. Try it for dinner tonight. 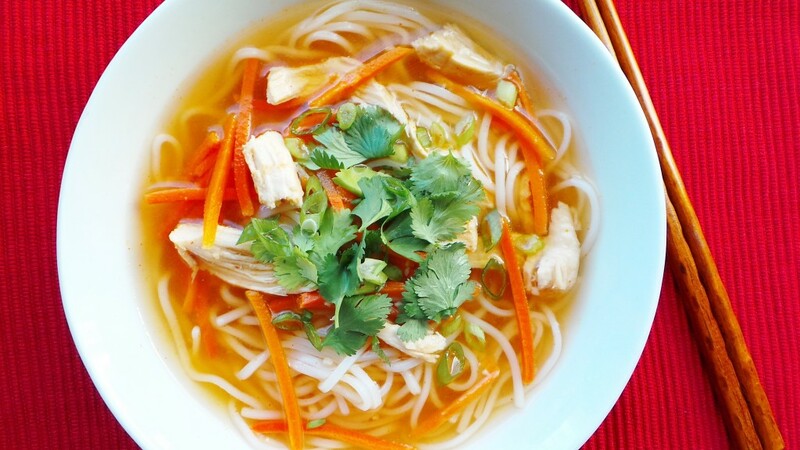 This Asian Chicken Noodle Soup will warm you up from the inside out! Very flavorful with fresh ingredients make this dish a go-to during the cold fall and winter season. For the soup broth: In a large pot bring to a boil the chicken broth, water, garlic, salt, fish sauce, and chicken breasts. Reduce heat and simmer until chicken is cooked through, about 10 minutes. Remove cooked chicken and put aside to cool. Meanwhile in a large pot boil 6 cups of water then add the rice noodles. Boil for about 3 minutes or until the noodles are tender. Drain and set aside. When chicken is cool to the touch, shred chicken using fingers and then place back into broth. To the broth add the soy sauce, Sriracha, kochujang, grated carrots, and lime juice and stir. Simmer for about 3 minutes. 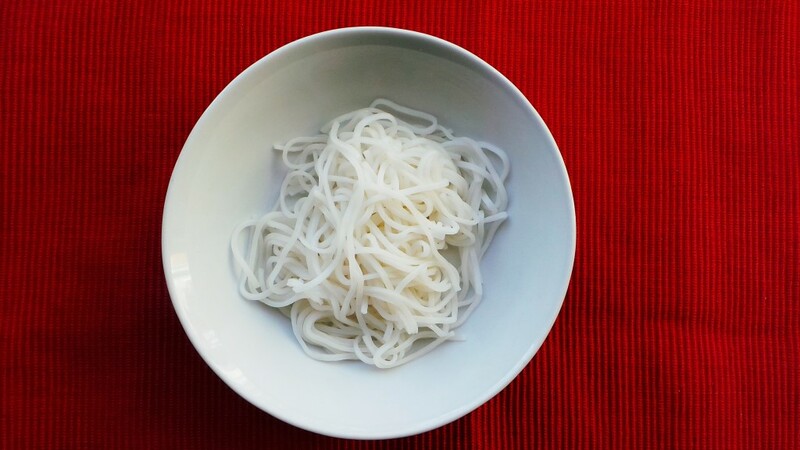 To serve: put a small amount of noodles in a bowl, ladle the soup over the noodles, then garnish with cilantro, green onions and a squirt of sesame oil. 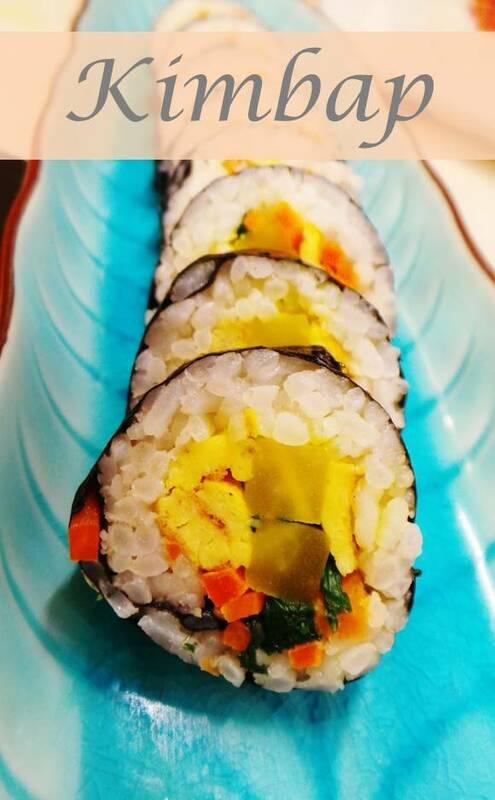 If you do not want the dish to be spicy (or are serving it to kids) omit the Sriracha and kochujang. Still tastes great, just without the kick of spice! What soup is your favorite to eat on cold nights? 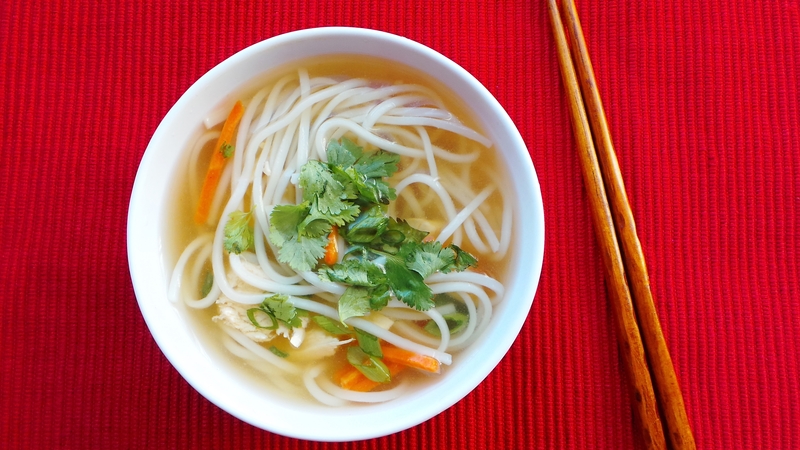 Did your family have a go-to chicken noodle soup recipe? All, Food, Food Asian, chicken, food, Korean, recipe, soup. permalink.